Courtney (aka Miss Pizzazzerie) created a super fun Summer dessert that is perfect when you want a cherry pie, but don't want to actually MAKE a cherry pie! 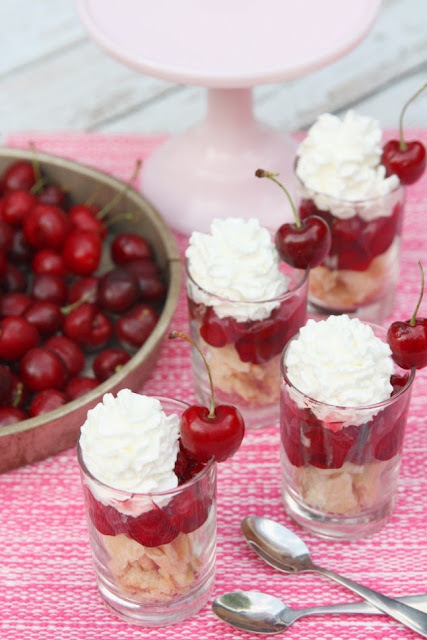 Plus these cherry pie parfaits are super cute in their little shot glasses! You can get the recipe for Courntey's cherry pie parfait over at Flavors of Summer.